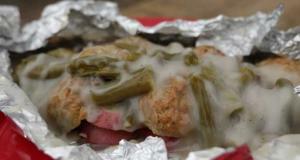 If it is good over a campfire it is automatically the best food you have ever tasted. There is really no comparison and no way to imitate it. 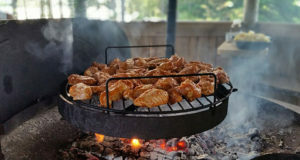 Cooking on an open flame outdoors just gives food that smokey, charred, flame ridden goodness. 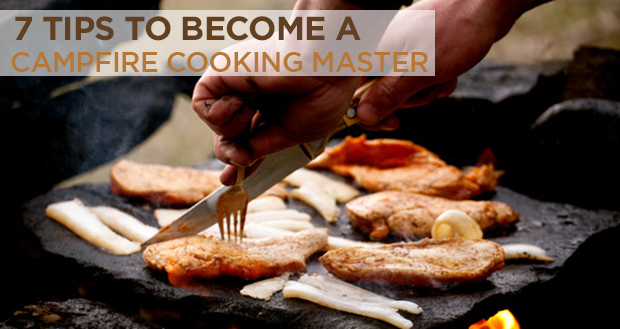 But for some people it can be intimidating and that is why these 7 tips will help you become a campfire cooking master. 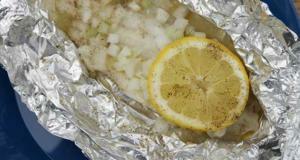 They are simple, yet effective, tips for making sure that cooking for the campfire goes well. 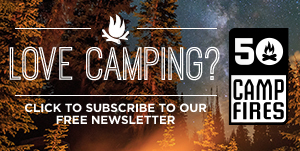 Camping is meant to be relaxing, so we’re betting that fretting over what to make or how to make it is not the way you want to spend your weekend. 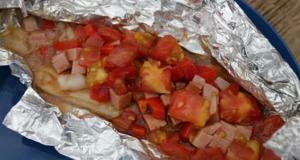 There are so many great recipes to be cooked over the campfire, from the traditional hot dogs to a hearty potato soup. 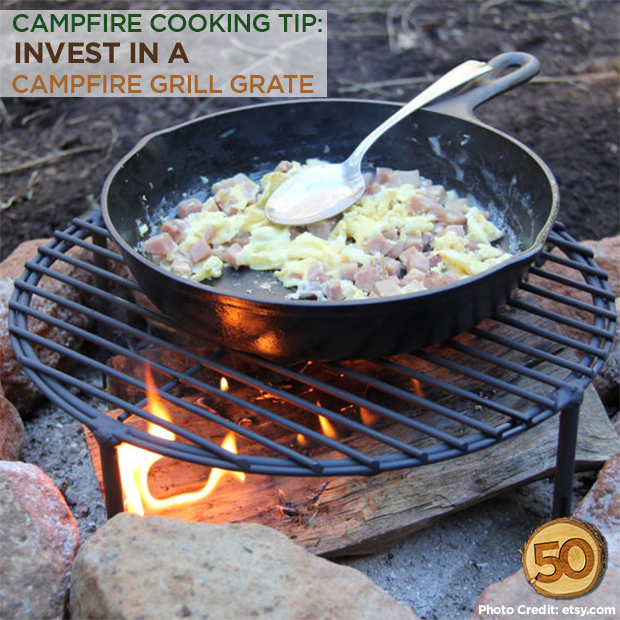 If you have the right tools and equipment, you’ll be cooking over the campfire like a champ in no time. 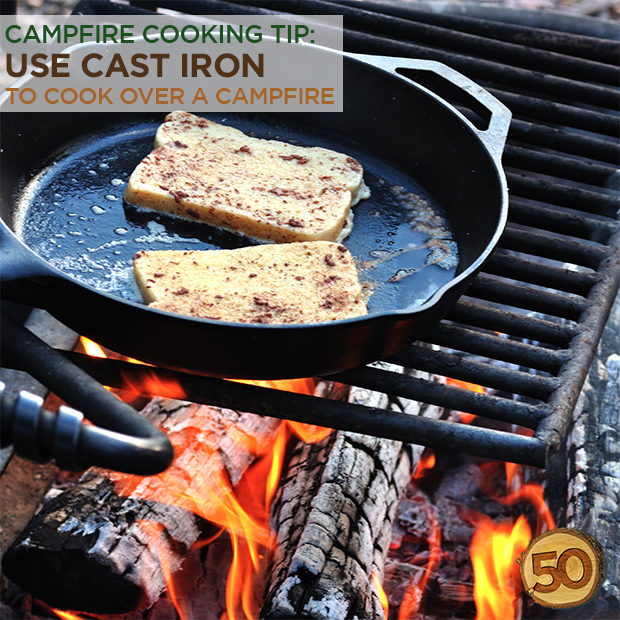 Cast iron is a necessity if you are cooking over an open flame. It will never get ruined, if you season it well the flavor of cooking on cast iron is amazing. You can cook anything on it and clean up is a breeze. Just a damp cloth to wipe it out! Foil packet meals are a godsend. 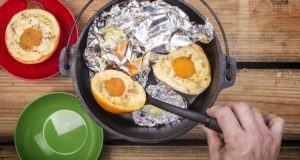 Cooking over the campfire doesn’t get any easier than throwing a meal in tin foil, wrapping it up and putting it in the hot coals until it is ready. 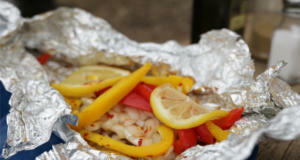 Foil packet meals are extremely versatile from dessert to dinner, there are thousands of meals that can be made in tin foil. 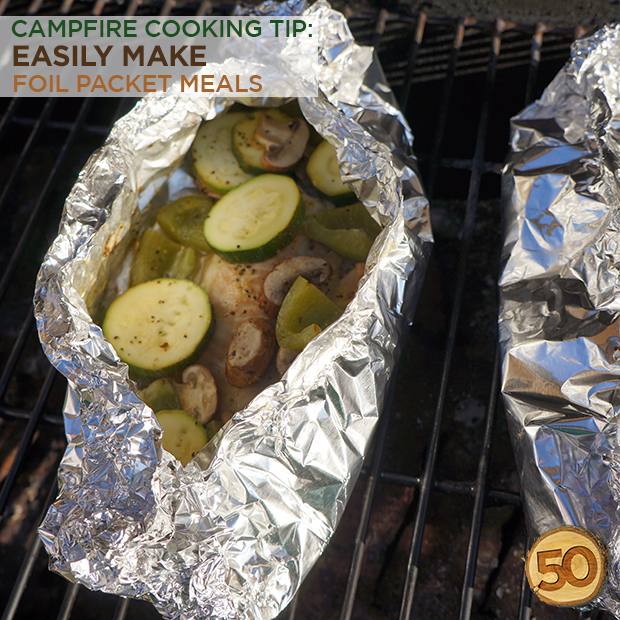 The art of the foil packet meal alone would make you a campfire cooking master. Trying to grab food from the campfire grill grate or from the coals with your hands is a bad idea. You’ll only make that mistake once, and then you’ll get yourself a good pair of grilling tongs, flipper and oven mits. 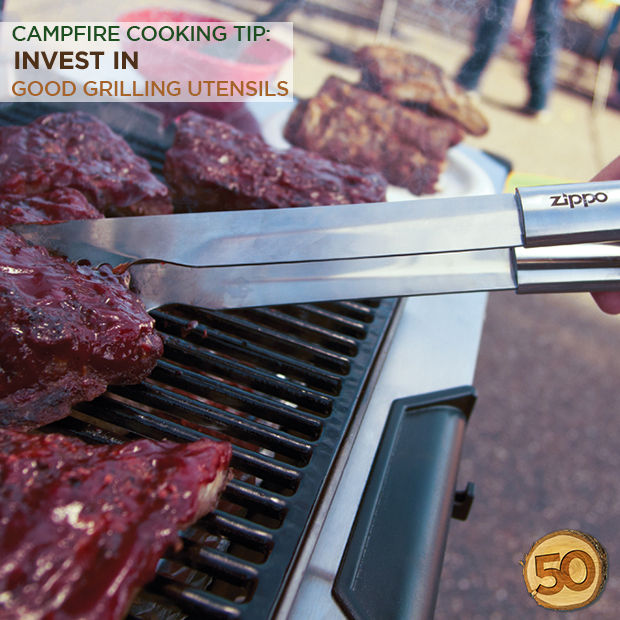 They can stay in your camp box and having tongs to grab or turn food that is cooking over hot coals is a must. 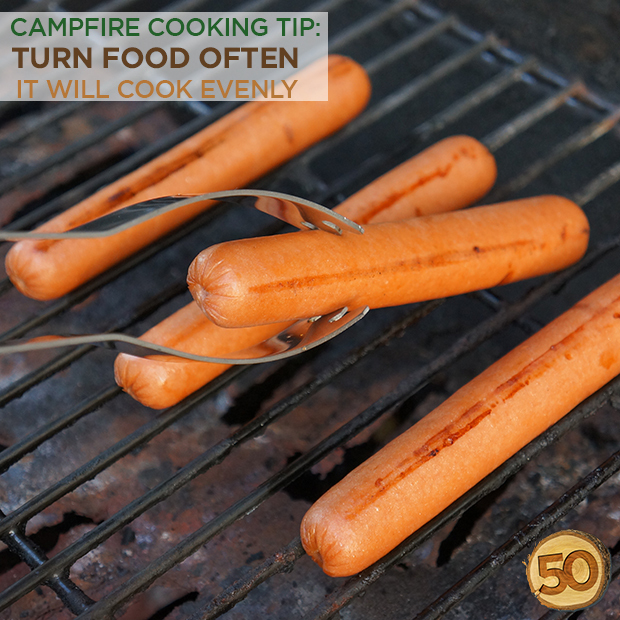 This is a common misconception with people who are new to campfire cooking. They just assume the hottest part of the fire would be the raging flames. But this is not necessarily the case. If you are truly trying to cook something, not just burn the outside, then you want a more consistent heat. To make the best fire for cooking, let it burn down to those white hot coals, pile them up under your grill grate and let it work its magic. We always like to have a dedicated cooking area, so moving the nice hot coals to one side as the fire is still going on the other side. 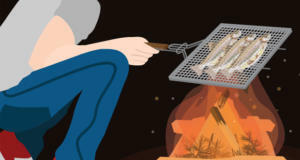 This will drastically change how well you can cook over a campfire. 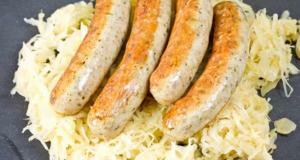 With the addition of a good grill grate, you’ll go from only being able to make hot dogs to making full course meals. 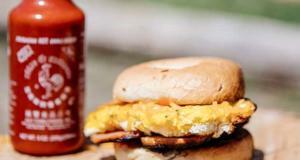 A lot of campfire rings at campsites do offer a grill, but lets face it, you don’t know what has touched that. 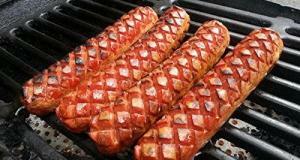 There are tons of portable grill grates to choose from and most are inexpensive. Plus you can get some really quality grates that are going to make cooking over the campfire easier. 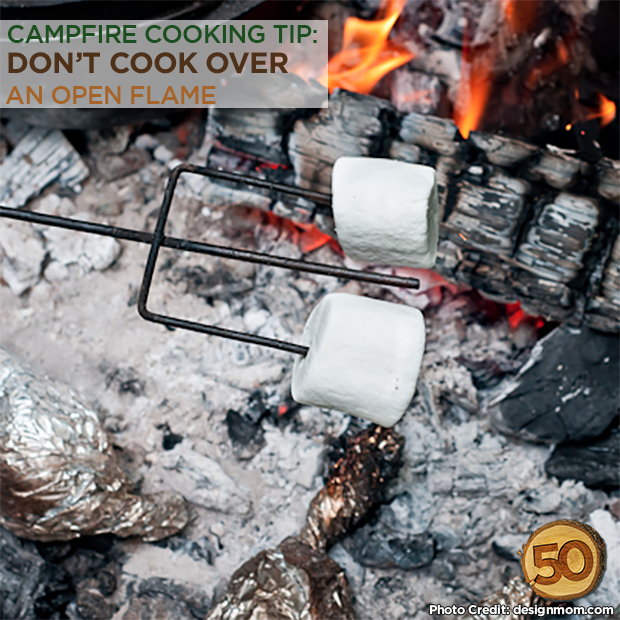 We’ve all burnt food before and cooking over a campfire can be even trickier for knowing when something will burn. 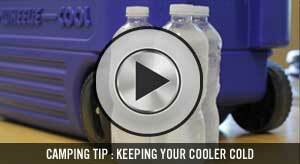 As hard as we try, hot coals are not like an oven, sometimes the temperatures can fluctuate rapidly. 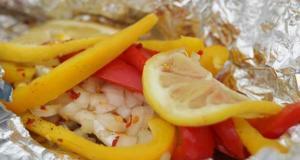 One trick I have learned is to turn your food more often than you would in the oven or the grill. Every few minutes it is good to flip or move the food so that it can cook more evenly and has a lower chance of being charred to a crisp. 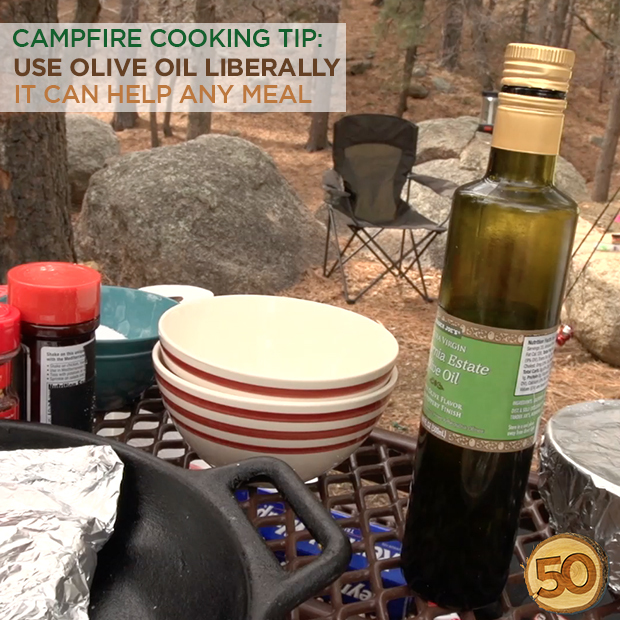 Olive oil is your best friend when campfire cooking. Use it liberally. Olive oil can give any dish a little bit extra and is absolutely perfect for meats. We rub it all over the fish or meat that we are about to grill, and add a good amount of salt. Just those 2 ingredients can change the taste of an entire meal. In a good way. 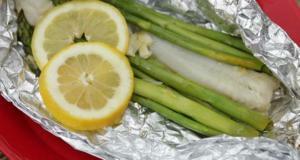 We use olive oil in most of our dishes when camping from high heat cooking to frying. It also goes great in salads and dips!